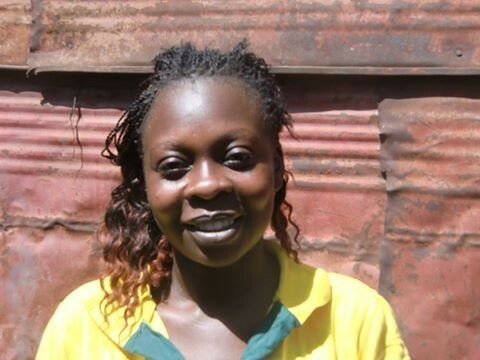 LBI welcomes Ms. Evaline as a new board member for LBI Kenya. She has much experience as a social worker for international NGO and she has been committing in LBI actions since the foundation LBI Kenya as a volunteer. Welcome and Be a good community leader! Message and greeting from Ms. Evaline. "My name is Evaline Akinyi Obongo. I am 30 years old. I was born in Mathare slum where I was raised but we later shifted to Kasarani. My father was a drunkard and we could see him only once per week. So basically I was raised by my mother. We were a total 9 children in our house. I finished my primary school in 1998 and joined a secondary school in Homabay. I sat for my exams in 2002 and got a C+ in my exams but because of the arrears I had at school I wasn’t given my certificate. I joined a sponsored institution in Kasarani where I studied basic and advance skills in computer, I later learned of the short courses within Korogocho community where I started working and social work. I affected my life being reused in a slum and the difficulties we were facing and I felt the passion to join hands and help support slum dwellers. I worked both voluntary and paid work to support this people with interpersonal skills and through counseling and motivated talks. I have been able to change the lives of a few who were drunks but are now sober. Through my own life experience, I have known how to interact with people and support them to achieve the best in life. I am looking forward to work with LBI to empower my fellow women to gain skills that can sustain their livelihood because being a mother of four kids I know what women go through to make ends meet and support their families. Bravo to L.B.I for initiating this program in Korogocho!" I know this web site gives quality dependent content and other material, is there any other site which provides such stuff in quality?